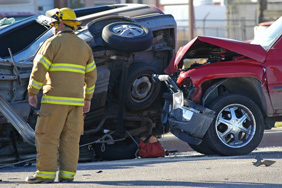 Are you suffering from an accident-related brain injury? We can help. Our Santa Cruz personal injury law firm has the experience and success with brain injury cases that you need. There has been tremendous progress in the detection, diagnosis, and treatment of brain injuries over the past decade. While the prognosis for victims of brain injury has improved remarkably, this is often still one of the most devastating and insidious of injuries and one which can have profound and sometimes life-long effects upon the quality of life for the patient. The long-term effects and impacts of brain injuries can be extremely subtle and difficult to diagnose and substantiate. The patient and those closest to them may be only vaguely aware of subtle personality changes and impairments which can have profound impacts upon the patient’s family, loved ones, and social life. While the effects are difficult to prove, the decline in the patient’s quality of life can be substantial and long-term. The difficulty in diagnosing a traumatic brain injury (“TBI”) is multifactor. For example, if you or a loved one has been involved in a serious motor vehicle accident, it’s often the case that there will be a number of open, obvious injuries: broken bones, or spinal injuries with obvious neurological deficits. When the patient is seen in the emergency room, it’s these obvious, painful injuries which are first addressed. By the time the diagnostic tests are run and surgery is performed, it’s the results of those surgeries which are the focus of the patient, his or her family, and the medical team. Sometimes, even if there was a blow to the head, or more often when there was merely a high velocity acceleration/deacceleration neck injury (“whiplash”) no CT scan of the head is even performed. Moreover, a CT scan, which is the standard of care for hospitals in initially diagnosing TBI is a fairly crude instrument for doing so; if there is no brain “bleed” its unlikely that most CT scans will detect a mild TBI (“mTBI”). But, an mTBI can be life-altering event, the symptoms of which can and often are ignored during initial hospitalizations, even when those hospitalizations last weeks or months. The symptoms of an mTBI include not only personality changes, but attention and memory problems and a level of frustration, sadness, and even anger associated with suddenly being unable to do one’s job, organize one’s thoughts, or relate to friends to family in the same way. Diagnosing the mTBI requires special expertise. Neurologist with specific training in mTBI are often required. High resolution MRIs of the brain, EEG and Nerve Conduction Studies, as well as a sensitivity to the symptoms of mTBI require examination, testing and treatment by a properly trained neurologist. Interpretation of the MRI should be done by a neuroradiologist. Often times, even when the MRI and Nerve Conduction Studies are normal, neuropsychological testing will reveal the brain deficits which explain all those troubling and disabling symptoms the patient is suffering. Because of the difficulty of diagnosing and substantiating the subtle effects of brain injury, health care providers, insurance companies, and lawsuit defendants will mount a vigorous defense against any such claims, taking full advantage of all of the difficulties faced by the injured person. Because of widespread ignorance and the stigma associated with head injuries, patients and loved ones themselves may be hesitant to pursue such claims vigorously, hoping to “put the experience behind them” and get on with their lives. A qualified attorney with a substantial understanding of brain injuries should be retained to represent any brain injury patient. The attorney should also have a track record of experience in this fast changing field, access to the latest information, and expert witnesses to mount a vigorous prosecution of such claims. With the proper representation, brain injury victims can receive substantial and just compensation for their injuries. The process of pursuing these claims can also open many avenues and opportunities for treatment, counseling, and long-term improvement in the patient’s ability to excel in a normal and successful life. The attorneys at SS&F have represented a multitude of clients who have suffered injuries, from mild head traumas to catastrophic brain injuries where the person is completely unable to care for themselves. We have professional relationships with some of the best experts in the field of brain injuries: neurosurgeons, neurologists, neuropsychologists, brain injury physicians who specialize in brain injury rehabilitation, and vocational rehabilitation who have the training and experience not only to value the nature and extent of a client’s brain injuries, but also to explain to a judge or jury the significance and costs associated with providing proper treatment and care for someone who has suffered a traumatic brain injury. We have obtained excellent results for many of our brain injured clients allowing them to receive the care & treatment they need to live meaningful and productive lives.